The best way to secure a RethinkDB cluster is to run it on a protected network that doesn’t allow access from the outside world. However, this may not always be feasible. For example, cloud deployments often require access from wide area networks. There are two main methods RethinkDB provides for securing the cluster: TLS encryption for connections, and binding the ports the server uses to specific IP addresses to limit outside connections. Starting with version 2.3, RethinkDB offers the ability to secure connections between servers, between servers and clients, and to the web UI using TLS encryption (the successor to SSL). Securing RethinkDB in this fashion is similar to securing a web site with a self-signed SSL certificate: create a private key and a certificate, then tell the server to use them. OpenSSL will ask you to enter information for the certificate. While some of these questions can be left at their default, the “Common Name” must match the domain name of your server. For local testing purposes you can use localhost, but not in production. If you use this option on the server, the client must use a secure connection as well. Pass the certificate information in the ssl option to the connect ReQL command; read the API documentation for connect for details on your language’s specific syntax. Note that in the last case, you’re required to provide a CA certificate as well. This is a certificate used to sign other certificates. In this case, we’re using the same certificate for both, but we could sign our cert.pem with a different CA certificate and specify both of them. Servers can only connect to the cluster if the certificates specified by their cluster-tls-cert value are signed by the CA certificate specified by cluster-tls-ca. These may be specified as startup options to rethinkdb or in the configuration file. All RethinkDB servers have an admin account with full access to the cluster, and by default this account has no password. (For full details on this topic, read Permissions and user accounts.) One of the first things you should do to secure a cluster is to assign a password to admin. You can do this when the first server starts up by using the --initial-password command line option, or by updating the admin record with a new password in the user system table. When new servers (including proxies) join an existing cluster, it will synchronize with all the user account information, including passwords, from that cluster. This includes the admin account. However, a server with no admin password set cannot join an existing cluster that does have a password set. Otherwise, it would technically be possible for an attacker to connect to that server as an admin and run arbitrary queries in the time between that server starting and the accounts synchronizing from the rest of the cluster. If you’re setting up a cluster in a secure environment (for instance, the whole cluster is on a local network behind a firewall), you can simply start the servers in the cluster without an admin password, then update the admin record in the users table with a new password. However, if you’re joining a new server to a cluster that’s already password-protected, the best way to do it is to specify the --initial-password auto option. This option creates a random password for that server’s admin account. Once that server is synchronized with the cluster, the random password will be overwritten by the admin password, preventing the exploit described above. Binding the web interface port can prevent it from being accessed directly from a remote machine. You can bind it to a specific IP address using the --bind-http command line option; the most secure method is to bind it to the local machine (localhost) and then connect via a proxy. Now, use one of the following two methods to enable secure access. HOST is the ip of any server on your RethinkDB cluster. 3000 can be changed to any port that is available on your local server. You can now visit localhost:8080 to see the RethinkDB web admin. You can use a reverse HTTP proxy to allow access to the web interface from other servers. Most web servers (such as Apache or Nginx) support this feature. In the following example we’ll use Apache to set up a reverse proxy. Depending on your OS, you may need to install a library such as libapache2-mod-proxy-html. You can now access the web interface using the following URL: http://HOST/rethinkdb_admin. Clients may specify user and password values in the connect command. For more information about creating and managing user accounts and permissions, read Permissions and user accounts. Note that passwords will be sent in plaintext unless you are using TLS encryption. Instead of (or in addition to) TLS, you can bind the driver port and use SSH tunneling, as described below. Note: The authentication system affects client drivers, not the web interface. Follow the directions above to secure the web UI. First, protect the driver port so that it cannot be accessed from the outside world. Use the --bind-driver command line option or the corresponding configuration file option to bind it to localhost. local_port is the port you are going to specify in the driver - It can be any available port on your server. driver_port is the RethinkDB driver port (28015 by default). ip_of_rethinkdb_server is the IP address of the server that runs the RethinkDB server. To secure the cluster port, bind it to a specific IP address using the --bind-cluster command line option or the corresponding configuration file option. Bind it to an IP address that is only accessible from within your local network. 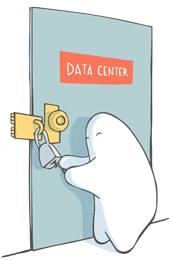 The intracluster port will be accessible from within the local network where you run RethinkDB nodes, but will not be accessible from the outside world.